Adopt High-efficiency spring structure design. Zinc alloy base, waterproof, dustproof and oil resistant. Double circuit type. Insulated dustproof wiring port for higher protection. 1 pc x Micro switch. Crimping Tool 2.8mm2 4.8mm2 0.14-1.5mm2 26-16 AWG Crimper Plier SN-48B. Details about Holding Push Pull Type Toggle Clamp, 359 lb/163 kg. Lever Arm can be rotated to the left by 90 degree and to the right by 90 degree. With Roller Lever Limit. The action reaches a critical point reed, instantaneous reverse action. Producing reed instantaneous action when action shifted to the critical point. When the force is removed on the drive components. 2 x Limit Switch SS-5GL. Touching mode: Light touching. 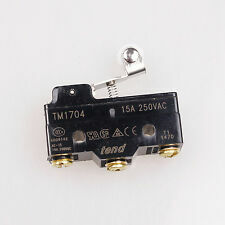 Light touching type lead limit switch for 3D printer. 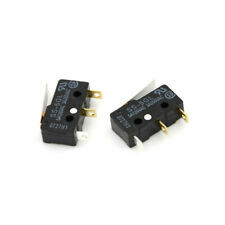 Product type: 3D Printer Limit Switches. 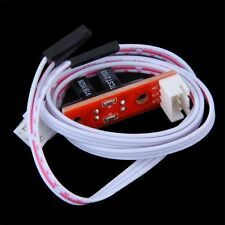 1pc x 3D Printer Limit Switch. Supports plug and play. Built-in 1m cable gives more convenience. Actuator Type : Coil Spring. Details about Holding Push Pull Type Toggle Clamp, 359 lb/163 kg. Reply within 24hours. Crimping Tool 2.8mm2 4.8mm2 0.14-1.5mm2 26-16 AWG Crimper Plier SN-48B. Details about Holding Push Pull Type Toggle Clamp, 359 lb/163 kg. Actuator Size : 10 x 8.3mm/ 0.39 " x 0.33 "(L Dia.). 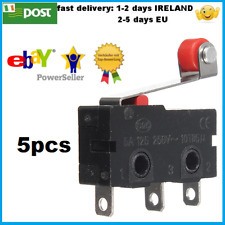 5 x KW7-9 Limit Switch. hope you could understand. Button Height: ~0.3cm / 0.12". Product Details. 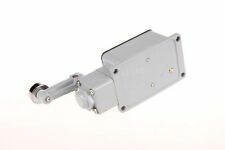 100% Brand New Product Name: Micro Switch Manufacturer: OMRON Manufacturer P/N: V-156-1C25 Spec: Actuator Type: Long Hinge Roller Lever Rating: 15A, 1/2HP, 125/250VAC; 0.6A,125VDC; 0.3A, 250VDC Contact configuration: SPDT Switch Body Size: 28mm x 10mm x 16mm / 1.1" x 0.39" x 0.63"(L*W*H) Fixing Holes Dia: 3.2mm / 0.13" Button Height: 3mm / 0.12" Actuator Size: 28mm x 4.5mm / 1.1" x 0.18"(L*W) Terminal Blade Width: 4.7mm / 0.19" Material: Plastic & Metal Main Color: Red & Black Qty: 6pcs. Crimping Tool 2.8mm2 4.8mm2 0.14-1.5mm2 26-16 AWG Crimper Plier SN-48B. Details about Holding Push Pull Type Toggle Clamp, 359 lb/163 kg. Switch Body Size: ~2.8 x 1 x 1.6cm / 1.1 quot; x 0.39 quot; x 0.63 quot;(L W H); Fixing Holes Dia. : ~0.32cm / 0.13 quot;. ● Type: Cross Roller Plunger, Automatic Reset. 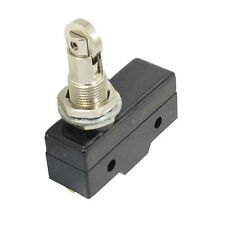 This Limit Switch can be widely used in various machine to monitor the position of moving parts of machines and plant. ● Color: Black & Blue. ● Power: AC250V, 5A / DC115V, 0.4A. Type : Push Button, SPDT;Color : Green, Silver Tone. Details about Holding Push Pull Type Toggle Clamp, 359 lb/163 kg. Plug Distance : 5.5mm, 17.5mm;Total Size : 35 x 20 x 9mm / 1.4 quot; x 0.8 quot; x 0.35 quot; (L W H). 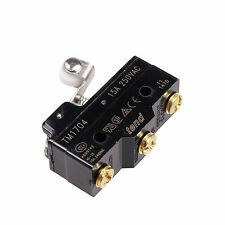 3Pin PCB Mount 1.47N Subminiature Basic D2F-L Limit Switch 5. Rate(item arrived). Model: KW7-0. Net Weight:about 30g. Used with Lerdge 3D printer motherboard. Small size, easy installation, with a trigger light. Quantity: 1 Set. Color: shown as pictures. Max current: 1A. Actuator Type: Hinge Roller Lever. Hinge Roller Lever Length: 18mm. 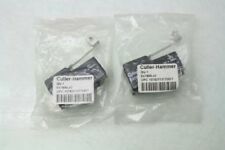 3 x Micro Limit Switch. 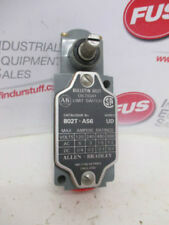 9007C limit switch, 2 NO/NC, rotary head, CW CCW, standard. o Contents: 1 LIMIT SWITCH. o Output electronic: Yes. o Rated operation current Ie at AC-15, 125 V: 6 A. o Rated operation current Ie at AC-15, 230 V: 3 A.
OMRON SS-5GL13 3Pin SPDT Subminiature Micro Switch Simulated Roller Lever 4. 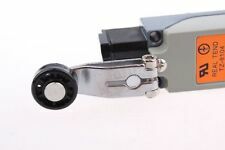 Actuator: Simulated roller lever. Rate(item arrived). 1 x Optical Endstop. Cable Length: About 1m. 1 x 1M Cable. Application: 3D Printer. Mini and compact, easy to use. If you do not receive our reply within 48 hours, pls. If you are satisfied with our service, pls. 6, 125V/AC, 15A, 250V/AC. Quantity: 1Pc. - With Roller Lever Limit. - Microwave Micro N/O / N/C Switch. - Length: 28mm Width: 16mm Height:10mm. We hope you enjoy using our item. It will be more convenient to both you and us. Crimping Tool 2.8mm2 4.8mm2 0.14-1.5mm2 26-16 AWG Crimper Plier SN-48B. Details about Holding Push Pull Type Toggle Clamp, 359 lb/163 kg. Switch Body Size : ~5 x 1.8 x 2.7cm / 1.97 x 0.7 x 1.1 "(L W H);Fixing Holes Dia. Actuator Type Hinge Lever. Switch Body Size 2 x 1 x 0.7cm / 0.8" x 0.4" x 0.27"(L W H). Body Main Color Green. We will reply you ASAP.